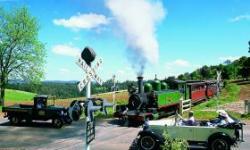 Enjoy a ride on Puffing Billy, Australia's oldest steam Railway and one of the finest preserved steam Railways in the world. 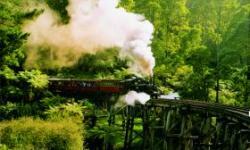 Travel 25 kilometres through the beautiful forests and fern gullies from Belgrave, only one hour east of Melbourne, to Emerald Lake Park and Gembrook. 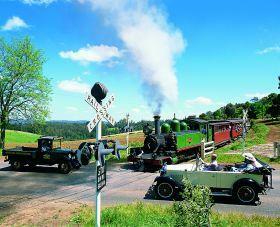 Recapture the romance and charm of the bygone days of steam on Puffing Billy, which also offers first class travel and dining experiences with lunch, Devonshire tea and evening dinner available. The open-sided carriages are the best way to see the stunning views. You can catch the train at any of the stations along the way or just watch the train go by from one of the station's refreshment rooms. 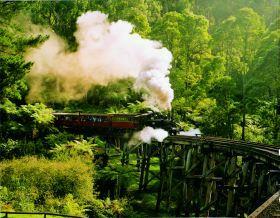 Puffing Billy is the last of the experimental narrow-gauge Railway lines built at the turn of the 20th century. 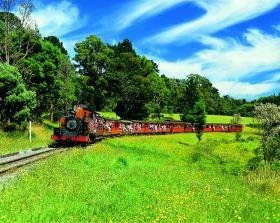 It is easily accessible by public transport from Melbourne. 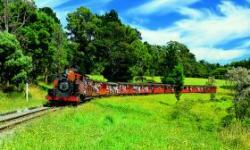 Tours are offered by all major day tour operators.